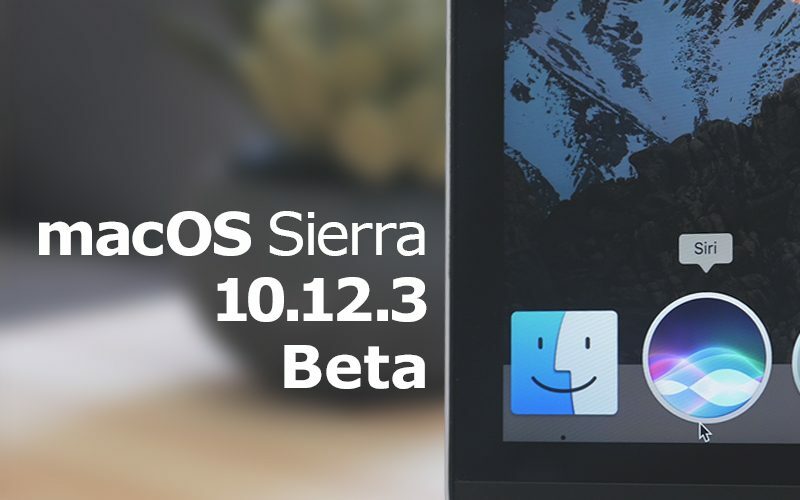 Apple today seeded the second beta of an upcoming macOS Sierra 10.12.3 update to developers, one week after seeding the first 10.12.3 beta and a week after releasing macOS Sierra 10.12.2, the second update to the macOS Sierra operating system. The second macOS Sierra 10.12.3 is available for download through the Apple Developer Center or through the software update mechanism in the Mac App Store. According to Apple's release notes, the 10.12.3 update "improves the stability, compatibility, and security of your Mac." No specific changes, bug fixes, or feature additions were discovered in the first beta, but we'll update this post should any new features be found in the second beta. Oftentimes, with bug fixes, it's difficult to tell just what's included until Apple supplies detailed release notes with a release. The previous update, macOS 10.12.2, introduced several important bug fixes to resolve battery life issues, fix graphics problems, and more. Is it too much to ask for specifics on bugs fixed in software updates? People shouldn't be having to ask "Does this fix _________ on my _______?". The release notes should cite specific issues. This vague "improves the stability, compatibility, and security" Apple puts on every update really doesn't cut it. * HOW does it improve security? * WHAT is changed to help compatibility? * WHERE was stability improved? It's like I'm back in elementary school English class. No update to emojis? Is this a real OS X update? Is this a real OS X update? Hopefully Apple engineers are hard at work fixing the Notes sync issues with 10.12.2, alongside their commitment to updating emoji's. I'm not going to hold my breath. I hope this will finally fix that crash after sleep bug on my 2010 MacBook Pro... anybody else having this problem since sierra? Black screen, beach ball, and nothing else? If so then "yes" and not fixed. Oh I'd love to see your reaction to Windows 10 updates haha. * Improved reliability of Security Support Provider Interface. * Addressed a service crash in CDPSVC that in some situations could lead to the machine not being able to acquire an IP address. * Addressed issue where a Catalog-signed module installation does not work on Nano Server. * Addressed issue with Devices left with Hello on for an excessive amount of time will not go into power savings mode. * Addressed issue with gl_pointSize to not work properly when used with drawElements method in Internet Explorer 11. * Addressed issue where Azure Active Directory-joined machines after upgrading to Windows 10 Version 1607 cannot sync with Exchange. * Addressed additional issues with app compatibility, updated time zone information, Internet Explorer. * Security updates to Microsoft Edge, Internet Explorer, Microsoft Uniscribe, Common Log File System Driver. Would you say that is more or less informative than a single sentence assuring you your computer is somehow improved in stability, compatibility, and security if you install this update? which about as full a listing as anyone could wish for. Whether the detail level is sufficient is at times debatable. Does "Improves audio quality when using Siri and FaceTime with Bluetooth headphones." mean it fixes my specific problem with Brand X headphones? Quite possibly or perhaps it fixes a similar but different problem. One can never tell with out testing. Still, the level is detailed enough to set expectations. Apple's products are used by a broad range of folk, from people who virtually technically illiterate to tech weenies who've been around for several decades and used the Mac for most of those years. They're policy of progressive disclosure seems entirely appropriate, at least to this old geezer.